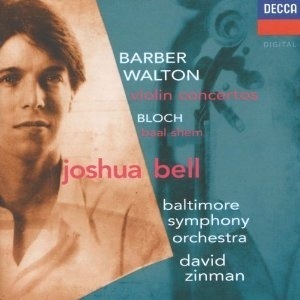 Joshua Bell playing Violin Concertos by Samuel Barber and William Walton. David Zinman conducting the Baltimore Symphony Orchestra. Supplementary track – Baal Shem by Ernest Bloch. On Decca.